It may be too cold and dreary to be in a boat for most of us just yet. But, we are not all that far away from spring and will soon be making plans to get back on the water! And for those of us with such thoughts, we have some really good news. 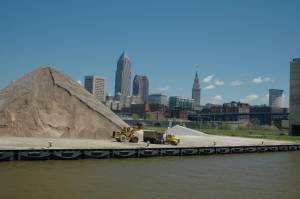 The United States Environmental Protection Agency recently approved the removal of “Degradation of Aesthetics” from the list of Beneficial Use Impairments (BUIs) in the Cuyahoga River Area of Concern (AOC). 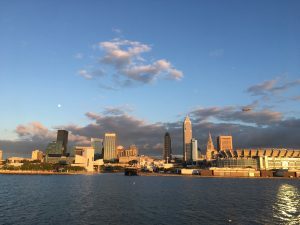 This action acknowledges that aesthetics have improved dramatically in the decades since the Cuyahoga and nearby Lake Erie tributaries were named one of the 27 federally-designated U.S. waterways that have experienced severe environmental degradation. The aesthetics BUI was one of 10 specific problems identified for the Cuyahoga and its watershed in accordance with the 1987 Great Lakes Water Quality Agreement (GLWQA) – a bi-national accord between the United States and Canada focused on cleaning up the most polluted tributaries draining into the Great Lakes. Environmental improvement has been dramatic in the Cuyahoga River Area of Concern. Surveys and observations over the past few years have shown that persistent “occurrences of sludge, oil, scum or other objectionable materials that produce color, odor or other nuisances,” which are the measure of aesthetic quality set forth in a Remedial Action Plan (RAP) completed for the Cuyahoga, are now either nonexistent in the Area of Concern or are being remediated by long term control plans to reduce combined sewer overflows. Litter and woody debris are not considered persistent impairments in this category. 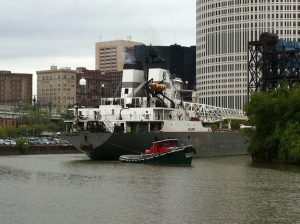 “This is a significant step forward on the path to delisting the Cuyahoga. It’s great to know that the progress we’re making to restore the AOC can now be recognized. With lasting support from state and federal agencies, and local partners, we can see a future when we reach all our restoration goals,” said Jennifer Grieser, Chair of the Cuyahoga River AOC Advisory Committee. Restoration along the Cuyahoga River bank. The next BUI to be delisted – hopefully in the spring of 2018 – is “Public Access and Recreation Impairments,” which has been helped by the development of trails, rowing clubs, fishing areas, boating and paddle sport amenities, residential areas, and dining and entertainment facilities that now allows its removal and signals full recovery. All one needs to do is stroll along the east bank of The Flats in Cleveland, or take a cruise on the Cleveland Metroparks Water Taxi, to see examples of community development on shore and restoration actions along the river’s banks. In light of the recent stretch of below average temperatures, I thought it might be of interest to share some facts about ice on the Great Lakes. The NOAA Great Lakes Environmental Research Laboratory, or GLERL, has been studying ice coverage on the Great Lakes for over 30 years. Their data help us to understand ice’s role in water level changes, water temperature, and even plankton blooms in Lake Erie. Why should we care so much about ice? Read on to find out more about ice and its impacts. Lake Erie’s long term average ice concentration compared to current (2017-2018 winter) ice production. During winter months, lakes lose energy to the atmosphere as the water near the surface cools. The cold, dense water sinks to the bottom of the lake while warmer water rises, and this cycle continues until the surface water reaches 32 degrees. Freezing begins and then extends down into the lake as the ice thickens. On average, it takes until early February for Lake Erie to achieve over 60% ice coverage. 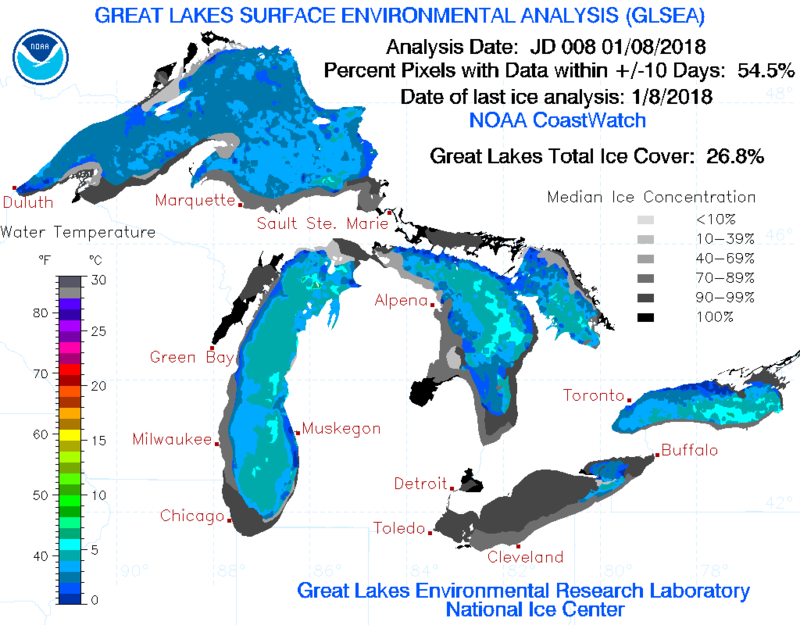 The recent stretch of cold temperatures across the Great Lakes has made for some record-breaking ice generation – Lake Erie went from 1.5% coverage on December 24 to over 85% coverage on January 8. For comparison, last year in early January, Lake Erie had only 7.6% ice coverage. More ice on Lake Erie generally means less lake effect snow. When Lake Erie freezes over, less water is readily available to be drawn up from the lake to the air above. The ice acts like a cap, preventing moisture from evaporating and/or condensing and therefore creating lake effect snow. While those in the “snow belt” may appreciate the decrease in snowfall once Lake Erie starts freezing over, this usually comes at a price – colder weather! Increased ice coverage means more protection from evaporation in the winter and theoretically higher water levels – but the connection between ice coverage and water levels is not that simple. While the amount of available open water in the winter for evaporation plays a role, data have shown that evaporation peaks in the fall, before ice cover forms. In extreme ice cover years, the thermal structure of the lake could be impacted for the rest of the year, potentially leading to less evaporation from the lakes (and possibly higher water levels) in the following fall. It is important to note that evaporation and precipitation are the major drivers of seasonal water level changes in the Great Lakes. A winter of low evaporation due to ice cover could be negated by a dry spring with little rainfall. Harmful algal blooms typically require a water temperature of at least 60 degrees to bloom. The percentage of ice coverage does play a part in water temperatures later in the year – the spring temperatures will have to melt the ice first before the water below the ice is able to warm up. In a year with a greater extent of ice cover, it will take longer for the lake to warm up to 60 degrees, and this could lead to a shorter harmful algal bloom season. However, factors such as nutrient runoff and spring/summer weather patterns can impact the extent of harmful algal blooms as well. Want to learn more about ice? Check out NOAA GLERL’s Coastwatch program – with real-time observation of ice on the Great Lakes. Ice coverage across the Great Lakes. Lake Erie has the largest coverage with over 85% as of January 8, 2018. 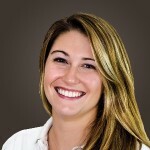 Sarah Orlando is the Ohio Clean Marinas Program Manager, Ohio Sea Grant College Program. You can contact her at: 419-609-4120, orlando.42@osu.edu, @SarahAOrlando. The holidays are just around the corner and I am so excited!!!!! I love the holidays, and no matter which ones you celebrate in November and December, they all involve spending time eating the most delicious food with friends and family. They often involve some gift giving too. Despite the feel-good atmosphere and carefree nature of the holidays, I am always drawn to how much garbage we create during this time. Information from the California Department of Conservation/Division of Recycling states that we generate 25% more trash during this time, creating 7 million pounds of waste between Thanksgiving and New Year’s Eve. Large parties often lead to disposable cutlery being used to save time with kitchen cleanup. Or the giving of gifts leads to bags of wrapping paper being thrown away. So when you are spreading cheer over the next couple of months, remember the planet and give her a gift, too. The gift of less garbage. Are you hosting one of the holiday meals? Last year was my first time hosting my family for Thanksgiving in my home and I was stressed. But I made it a priority to reduce the amount of garbage our meal created by recycling cans and boxes from the food purchased, using only reusable glassware, plate ware, cutlery, and napkins. I also made to-go meals for everyone in reusable plastic Tupperware. There was so little waste generated, it made the day even more special. Have a friend who loves games? 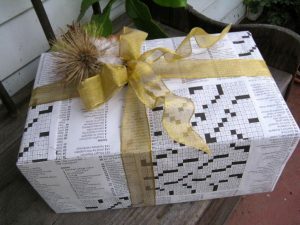 Wrap their gift with the crossword sections of the newspaper. Photo credit: Damien Nelson. Giving gifts has become the norm for many of the holidays we celebrate in December. Think about what material you use to wrap or package the gifts. I love to use newspaper or magazines as my gift wrap. The material is free, and save you the trouble of purchasing wrapping paper; a product which takes many resources such as trees and fossil fuels to create. You can also gift items in reusable bags or cute baskets, completely avoiding the need to wrap anything. 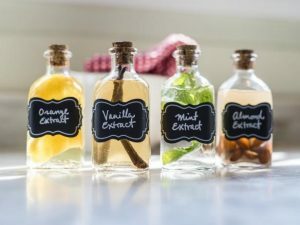 Homemade extracts and flavored oils are super popular right now. 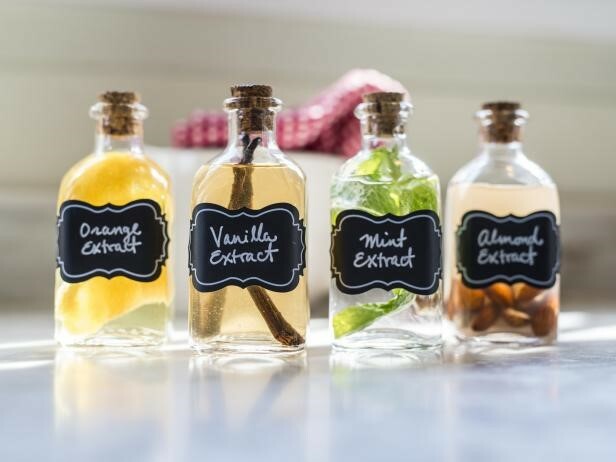 They would be a great gift for the chef in your life. Photo credit: HGTV. Are you doing all of your shopping online? Are you sending gifts through the mail? My mom would always make me the best gift boxes when I was in college. I would get them around holidays or near big exams. If there was too much space left in the box, instead of using plastic wrap or plastic packing peanuts, she would put a fluffy pair of socks or a bag of popcorn instead. I was able to use the items meant to stuff the package instead of throwing them away. I hope some of my personal experiences have given you some new ideas about how to reduce the amount of waste you produce during the holiday season. And remember, when you go to the store to shop for food or gifts, bring those reusable bags! 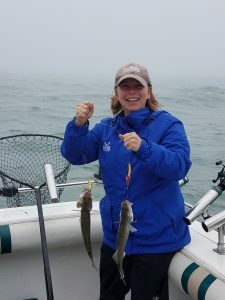 Jill Bartolotta is an Extension Educator for the Ohio Sea Grant College Program. The Lake Erie algal bloom has often been described as mean, green and obscene. To make matters worse, if you’ve ever experienced an algal bloom in person, you would also know that it stinks… literally. What gives? What is being done about this yearly outbreak in our Great Lake Erie? The Ohio Sea Grant College Program has been and continues to be one of the key leaders in research, education and outreach on this critical issue. This blog posting will discuss key research initiatives that Ohio Sea Grant is tackling head on with local, state, university and federal partners. A harmful algal bloom (HAB) is any large increased density of algae that is capable of producing toxins. 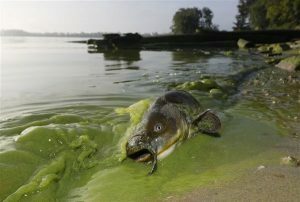 In freshwater, such as Lake Erie, those algae tend to be cyanobacteria — more commonly known as blue-green algae — which grow excessively in warm water with a high phosphorus concentration. Phosphorus enters the water from agriculture, suburban and urban sources. The likelihood of such runoff is strongly affected by climatic factors including drought, severe weather and temperature. Much of the harmful algal bloom research seeks to understand both how phosphorus and other elements, such as nitrogen, affect algal blooms and how runoff can be reduced without negative impacts to farming and other industries. Other projects focus on the public health impacts of toxic algal blooms, ranging from drinking water issues to food contamination. 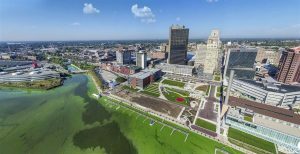 The Harmful Algal Bloom Research Initiative (HABRI), created in the aftermath of the 2014 Toledo water crisis, provides near-term solutions for the full suite of issues surrounding harmful algal blooms. Guided by the technical needs of state agencies at the front lines of the HABs crisis, Ohio universities are the engines for creating new knowledge, new technologies and new approaches to give us both short-term assistance and long-term solutions. 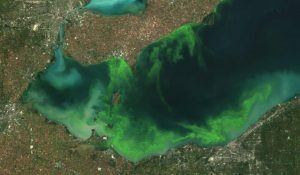 After the Toledo water crisis in August 2014, the Ohio Department of Higher Education (then the Ohio Board of Regents) allocated $2 million to Ohio universities for research to solve the harmful algal bloom problem in Lake Erie. The funding was matched by participating universities for a total of more than $4 million. Led by representatives from The Ohio State University and The University of Toledo, and managed by Ohio Sea Grant, the initial efforts of the Harmful Algal Bloom Research Initiative (HABRI) entailed 18 projects involving researchers from seven Ohio universities and partners as far away as South Dakota and Japan. The HABRI has launched a new round of agency-directed research every year since 2015, with the first round of projects completed in spring 2017. The Ohio Department of Higher Education has funded all research, with matching funds contributed by participating universities. For the 2018 cohort, the Ohio Environmental Protection Agency (OEPA) will provide matching funds for some of the research and monitoring activities undertaken as part of the statewide effort. The initiative also provides invaluable training for Ohio students, from undergraduate to doctoral candidates, which distinguishes university research from other scientific institutions and gives taxpayers a double return on their investment. Input from partners such as the OEPA, Ohio Department of Natural Resources and the Lake Erie Commission ensures that projects complement state agency efforts to protect Ohio’s fresh water and that results address known management needs to ensure sustainable water for future generations. HABRI used Ohio Sea Grant’s proposal development system to streamline project proposals, project management and public engagement, capitalizing on Sea Grant’s strong reputation among various stakeholder groups including the research community. For more information, please see Harmful Algal Bloom Research Initiative Year 2 Report and Executive Summary. In a relatively short period of time plastic has become the most common form of garbage found in the Earth’s oceans, lakes, and other waters. Sadly, coastal residents of Great Lakes states have become quite accustomed to seeing plastic. Almost 80% of trash found on beach cleanups in the region in recent years has been identified as plastic 1. This is especially evident along the southern beaches of Lake Erie, where high population and industrial development have contributed to the plastics problem. In Ohio, the most common items found are cigarettes and other smoking related materials, including plastic cigar tips. In total, cigar tips account for about 14% of all smoking related debris on Ohio beaches 2. These trends are especially noticeable on beaches found near Ohio’s largest coastal city, Cleveland, and its surrounding communities. Given the growing awareness of the issue, and the impact of plastics on beaches throughout the Great Lakes, my colleague with Ohio Sea Grant, Jill Bartolotta, and I convened a focus group to investigate strategies to help address the problem. The group was comprised of individuals with practical knowledge of plastic cigar tip use and disposal issues, including representatives of government agencies, nongovernmental organizations, community groups, and local academic institutions. The first questions the group discussed centered on the WHAT, WHY, and HOW of the problem. When asked what local residents think about the topic, all agreed that people are well aware and not happy about the abundance of cigar tips found along Lake Erie’s shore. When asked why this matters, group members suggested that it affects the benefits of living in a community, like neighborhood pride and public health, as well as the social, environmental, and financial viability of local neighborhoods. This leads us to the how of the matter. 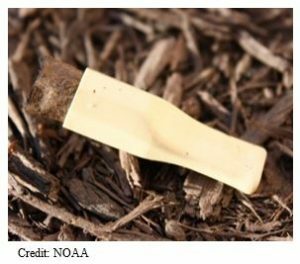 How can decision makers successfully combat the problem of plastic cigar tips? Ultimately, the group came up with a set of recommendations for helping to reduce plastic cigar tip litter in the area. Some suggestions were obvious, like ‘creating more designated smoking areas with proper disposal receptacles’ and ‘developing education and outreach on public signage.’ Others were more nuanced, like reward programs and mail in rebates, tax increases, deposit programs, and strict age enforcement by vendors. One constant among all ideas was an emphasis on positive messaging. Instead of negative campaigns that instruct people to “quit smoking,” the focus should be on education and community-based solutions. The group suggested educating people about the connection between swimming and drinking water, along with other public health issues. In the end, the most enthusiastic recommendation was to focus on neighborhood beautification and Cleveland pride. As locals will tell you, Cleveland is The Land of Champions! Not an ashtray. Driedger, A.G.J., Durr, H.H., Mitchell, K., and Cappellen, P.V. 2015. “Plastic Debris in the Laurentian Great Lakes: A Review.” Journal of Great Lakes Research. 41 (1): 9-19. Adopt a Beach Program. 2015. “Litter Report: Raw Data from Great Lakes Beach Cleanups.” Cigar tip percentage calculated by Jill Bartolotta, Ohio Sea Grant College Program and Ohio State University Extension, May 19, 2016. The title says it all. Most people probably haven’t heard of the HACCP process before, and those that have are likely familiar with it in the food service industry. HACCP stands for Hazard Analysis and Critical Control Points, and it was developed in the 1960’s as a way to prevent astronauts from being exposed to food borne illness. The process was since adopted by the FDA thanks to its effectiveness in preventing the spread of disease via processing and packaging of food. So why is this Sea Grant fish guy talking about astronaut food? 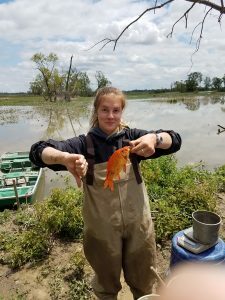 Invasive goldfish in a Lake Erie wetland- How many potential vectors of spreading AIS do you see in this picture? As it turns out, this process is pretty successful in preventing the spread of AIS. So much so that there are a number of folks across the country that are certified to train natural resource managers on using the HACCP process in their work. That list includes my colleagues Jenny Roar and Eugene Braig, who along with myself will be hosting an AIS-HACCP workshop at Stone Laboratory August 28-29, 2017. If your work finds you in the field, then you are a potential vector for spreading AIS, and you should strongly consider taking this workshop. 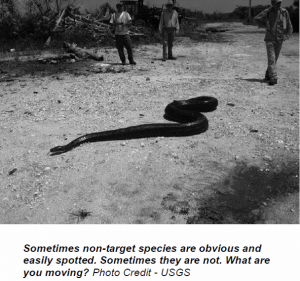 If you know a natural resource professional, please forward along the information so they can help us protect our natural resources from the scourge of invasive species. Even if you’re not a professional in the field but enjoy outdoor recreation, remember to always take steps to prevent the spread of invasive species! Learn to recognize AIS and report new sightings to the Ohio Division of Wildlife. Clean, Drain, Dry! When using boats or other aquatic recreational equipment, before leaving the water access: inspect and remove foreign material, drain water from all containers (bilge, livewell, etc. ), clean with high pressure and/or heated water, and allow to dry for at least five days before transporting between bodies of water. 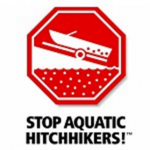 Learn more at stopaquatichitchhikers.org/. Dispose of unwanted bait, worms and fish parts in the trash. Get Habitattitude! Never dump aquarium pets, plants, other organisms, or water, including bait, from one water body into another. Learn more at www.habitattitude.net/. For more information on AIS-HACCP, or AIS in the Great Lakes, contact me at gabriel.78@osu.edu. Title stolen from the creative brain of Sarah Orlando. Tory Gabriel is an Extension Specialist, Program Manager for the Ohio Sea Grant College Program. The Cleveland Cavaliers weren’t the only thing bringing people to Cleveland in early June. 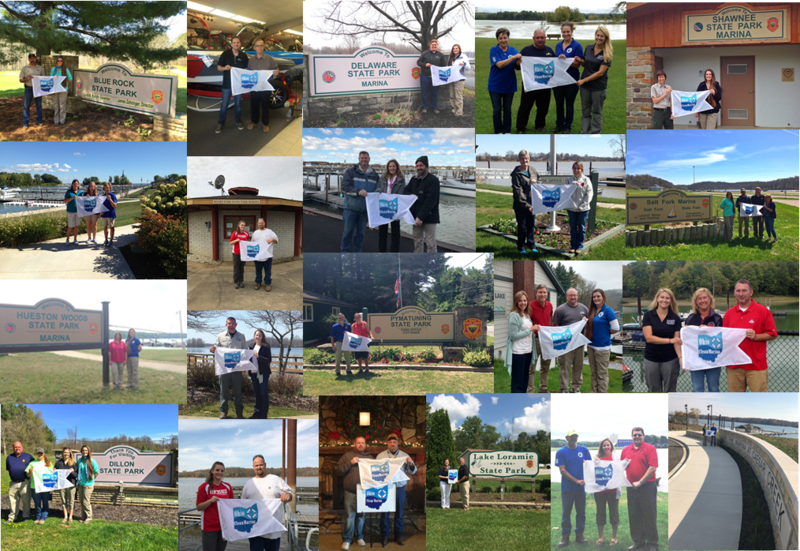 Ohio Sea Grant hosted seven other Great Lakes Sea Grant Programs and the National Sea Grant Program during the 26th Great Lakes Sea Grant Network Meeting. Over 80 scientists, educators, and communicators from all over the Great Lakes came together to provide program updates, share project ideas, and discuss future collaborations. Speakers included Jonathon Pennock, the recently appointed National Sea Grant Director, who discussed the new vision for the National Sea Grant Program and Lieutenant Governor Mary Taylor who spoke about the great work being done in Ohio and the Great Lakes to improve water quality, foster sustainable development, and continued work to improve the health of the Great Lakes. Educational field trips on the second day showed participants some of the issues facing Lake Erie and offered on-the-ground solutions to solve problems. 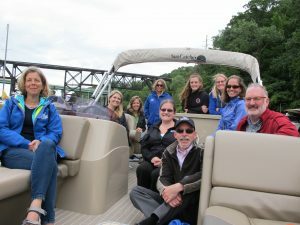 A boat tour of the Cuyahoga River led by Scott Hardy, Sea Grant Extension Educator in Cuyahoga County, showcased the work being done by local organizations in Cleveland and Ohio Sea Grant to remove the river from the Area of Concern list. Areas of Concern are highly impaired rivers as a result of industrial use over the past century. Local organizations work together to remove contaminated sediment, improve water quality, and repair fish, bird, and mammal habitats to improve the benefits offered by the river. A second boat tour led by Sarah Orlando, Ohio Clean Marina Program Manager, took several people to the Emerald Necklace Marina in Rocky River. The Emerald Necklace Marina is one of Ohio’s many Clean Marinas. Cleans Marinas are marinas that have gone through the certification process through Ohio Sea Grant and the Ohio Department of Natural Resources to adopt business and property management practices that improve water quality, lessen a marina’s environmental impact, and work with their boaters to educate on safe and clean boating best practices. All in all it was a great few days filled with new project ideas, network visioning, and lots of fun in some of Coastal Ohio’s most beautiful areas. Jill Bartolotta is an Extension Educator for Ohio Sea Grant. I have the best job in the world. As an extension educator for Ohio Sea Grant and OSU Extension, my job is to help communicate science in an easy-to-understand way to the public. When I started in this role, this was done mostly through in person meetings, phone calls, emails, and within educational settings such as outreach events. I still continue to communicate with the public and my stakeholders through these outlets, but I have added a new approach for reaching others to this list: social media. When I created my first Twitter account and a Facebook page for our program, I wasn’t really sure what I was doing! I had used these platforms to interact with family and friends, but was unsure of how to engage the public. However, I soon found that by following other colleagues and programs there was a community well-versed in the art of social communication. In my case, I found a group of science communicators who have taken to social media to help engage the public around the topics that they are researching, and to aid in communicating the scientific process to the public. The #SciComm community – as they call themselves – has helped me to realize the value of social media as a method for education and outreach. Another great network of people who provide helpful guidance on social media is the Educational Technology Learning Network, or #EdTechLN. You can find their social media feed here: extedtechs.org/edtechln/. I use social media to promote outreach events, share news about recent accomplishments in my organization, and to provide current and factual information on a variety of topics related to my program and organization. 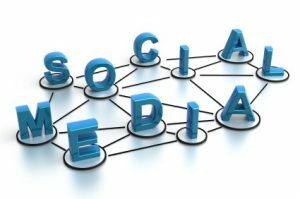 As a company, community, or citizen – you can use social media to promote your business, recognize an exceptional employee or colleague, and to provide up-to-date, reliable information to your audience. There are many ways that you can follow and interact with OSU Extension and Ohio Sea Grant on social media – I’ve listed a few below. Feel free to engage with us through these platforms – we’re listening and here to help! On our Ohio Clean Marinas and Clean Boaters Page, we promote marina businesses that take steps to improve air and water quality at their facility. We in turn encourage these businesses to use social media to promote themselves as a certified Clean Marina to their clientele. Sarah Orlando is the Program Manager for the Ohio Clean Marina Program. She can be contacted at: 419-609-4120, orlando.42@osu.edu, or @SarahAOrlando. 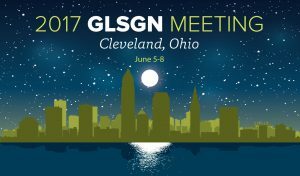 University faculty, educators and staff involved in the Sea Grant College program throughout the Great Lakes region will converge in downtown Cleveland for the Great Lakes Sea Grant Network meeting hosted this year by Ohio Sea Grant from June 5-8. Why is this important? For 50+ years, the National Sea Grant College program has worked to create and maintain a healthy coastal environment and economy. The Sea Grant network includes 33 programs based at top universities in every coastal and Great Lakes state, Puerto Rico, and Guam. The programs of the Sea Grant network work together to help citizens understand, conserve and better utilize America’s coastal, ocean and Great Lakes resources. A partnership between universities and the federal government’s National Oceanic and Atmospheric Administration (NOAA), Sea Grant directs federal resources to pressing problems in local communities. By drawing on the experience of more than 3,000 scientists, engineers, public outreach experts, educators and students from more than 300 institutions, Sea Grant is able to make an impact at local and state levels, and serve as a powerful national force for change. Sea Grant invests in high-priority research, addressing issues such as population growth and development in coastal communities; preparation and response to hurricanes, coastal storms and tsunamis; understanding our interactions with the marine environment; fish and shellfish farming; seafood safety; and fisheries management. The results of this research are shared with the public through Sea Grant’s integrated outreach program which brings together the collective expertise of on-the-ground extension agents, educators and communications specialists. The goal is to ensure that vital research results are shared with those who need it most and in ways that are timely, relevant and meaningful. For more information, please visit the Ohio Sea Grant website above or the National Sea Grant College program website. Joe Lucente is an Associate Professor and Extension Educator for the Ohio Sea Grant College Program. We all know the Cuyahoga River caught on fire. What’s being done to clean it up? There’s lots of buzz starting to generate these days around the Cuyahoga River in Cleveland, as local residents and water enthusiasts begin gearing up for the 50 year anniversary of the last time the river caught on fire in 1969. Since then, many changes have taken place along the Cuyahoga and much effort has been made to restore the river and its watershed. The infamous 1969 fire was actually the last of a series of occasions in which the river “caught on fire.” In reality, it wasn’t the river itself that was burning, but the oil, sewage, industrial waste, and flammable debris floating on the water’s surface. In addition to the spectacle of a burning river, all of this contamination heavily degraded water quality, damaged terrestrial and aquatic wildlife habitats, and ultimately led to a major loss of biodiversity. 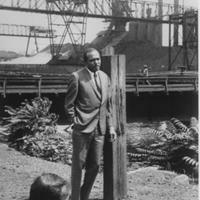 Since 1969 much as been done to clean up the Cuyahoga and other rivers like it. The passage of the Clean Water Act came a few years later in 1972 and sought to make all of America’s rivers ‘fishable and swimmable’ by establishing the basic structure for regulating discharges of pollutants and by setting quality standards for surface waters. Fifteen years later in 1987 a binational agreement between the United States and Canada called the Great Lakes Water Quality Agreement (GLWQA) sought to bring more attention to the most polluted waters specifically in the Great Lakes. According to the GLWQA, each of the polluted rivers, called Areas of Concern (AOC), were required to develop Remedial Action Plans (RAPs) that identify all of the environmental problems (called Beneficial Use Impairments, or BUIs) in the area and enlist local advisory committees and environmental protection agencies to restore them. In short, lots of people are working to clean the river up and delist the BUIs. The Ohio Environmental Protection Agency (EPA) is collaborating with the Cuyahoga River Area of Concern Advisory Committee to lead restoration actions. The Advisory Committee is facilitated by the nonprofit Cuyahoga River Restoration, and is made up of representatives from Ohio Sea Grant and other organizations including nonprofit community groups, businesses, government agencies, and local residents concerned with the health of the watershed. Some of the restoration activities that have taken place are complex and expensive undertakings, such as removing dams or installing green stormwater infrastructure to reduce combined sewer overflows (during heavy rains untreated stormwater and wastewater combine and discharge directly into the river). 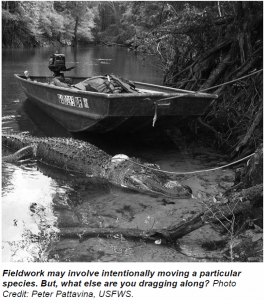 Other activities are much smaller in scale, like restoring riverbank vegetation, working with landowners to plant riparian buffers, and developing fish habitat along barren stretches of the shipping channel close to the river’s mouth. Ultimately, much of the progress to delist BUIs will be dependent on education and outreach that informs the public about the problems facing the Cuyahoga River and encourages local residents to contribute to potential solutions. If you are interested in learning more about the Cuyahoga River, or would like to contribute to restoration efforts, there are plenty of opportunities. To get started, check out the website for the AOC’s facilitating organization, Cuyahoga River Restoration, or the Cuyahoga Valley National Park located in the river’s headwaters. You will be able to read about all of the great things happening to keep the Cuyahoga fishable and swimmable and see how you can personally make a difference. We have come a long way over the past several decades! 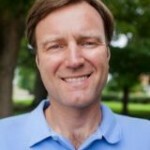 Scott Hardy is an Extension Educator with the Ohio Sea Grant College Program.